A highlight of the ISPRS Technical Commission IV Spatial Information Science is the upcoming Symposium, 3D Spatial Information: The Engine of Change, aiming to provide a forum where researchers and practitioners can come together and share their work and ideas in the spatial information sciences and propose new developments for this important field for the progress of humanity. The world's population is on the rise, to reach 7.5 billion in 2018, and by 2050 it is predicted that it will be 9.7 billion. Managing the social and economic changes brought on by this increasing population will require new ideas and spatial information decision making tools. Moreover, the pressures placed on the usage of spaces that people live and work in will necessitate decisions that are based on 3D and higher dimension spatial data. 3D and higher dimensions pose significant challenges to researchers, data holders, software developers and stakeholders. Besides research and development, much more collaboration and cooperation is required between disciplines, researchers and practitioners, industry and academics to support the progress on spatial information. ICWG IV/III: Global Mapping: Updating Verification and Interoperability. Several keynote speakers will elaborate on different aspects of 3D spatial information. Prof. Dr. Ruizhi Chen, Director of LIESMARS, will discuss Smartphone Positioning and 3D Mapping Indoors. According to him “Indoor positioning is one of the core technologies of artificial intelligence (AI) and will play a pivotal role in the upcoming era of AI”. Dr. Rod Thomson will share his vision for the future of 3D cadastre and Dr. Claus Nagel will demonstrate current applications of 3D City Models. The ISPRS symposium will be hosted at Delft University of Technology and will be a part of Geo Delft 2018 joint event, which will host 3D Geoinfo, 3Dcadatsres and SDSC conferences. Relevant information about the symposium can be found at the symposium web site. More information about all conferences within Geo Delft 2018 can be found at the conference web site. We warmly welcome you to take part in the Symposium. The ISPRS Foundation (TIF) is a public charity formed to administer an extensive and broadly-based international program that, through the raising of funds, shall provide grants, scholarships, awards, training supplies and other forms of scientific assistance to qualified individuals and organisations who are pursuing and/or applying knowledge for advancing the sciences and technologies associated with the disciplines embodied by the ISPRS, especially to support those in developing countries and regions. See http://www.isprs.org/foundation/foundation/default.aspx for more details. The biggest challenge for most non-profits is to raise sufficient funds to accomplish their goals. TIF wants to grow so that it can offer assistance to more individuals and organizations from more countries. In order to address this effectively and directly, TIF is making changes to its committee structure and is forming a Fund-Raising Committee. We are looking for volunteers to join this committee! You need to be excited by what ISPRS is doing and must identify enthusiastically with TIF’s goals. You should have a large network of contacts, including people at high levels in organizations who may be willing to give funds to TIF, if they are approached in a suitable and informative fashion. You should be energetic, imaginative, and willing to engage with potential donors as an ambassador of TIF. You must be able to bounce back if an organization is reluctant! We are looking for committee members from all over the world. If you are interested, please contact Stewart Walker, Chair of the Board of Trustees, at foundationchair@isprs.org. Mr. Imala is employed by the Directorate of Resource Surveys and Remote Sensing, Ministry of Mining, Kenya. 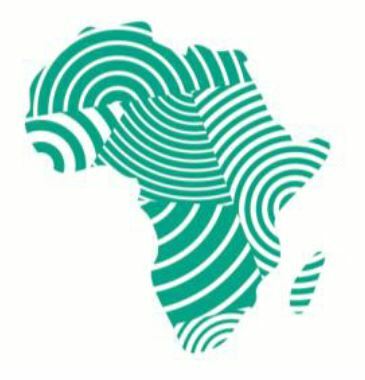 IGI offers its IGI Ambassador Award via The ISPRS Foundation (TIF) to young scientists in photogrammetry and laser scanning from regionally under-represented African countries in the geospatial sciences and technology fields. The award is funded by a donation of €2500 from IGI. The award allows Mr. Imala to visit IGI‘s offices in Kreuztal, Germany, and actively participate at ISPRS Workshops, Conferences, and Symposia. He will prepare reports about visits funded by the award for publication in IGI and ISPRS/TIF ebsites and newsletters. In addition, he will become an IGI ambassador for all IGI products and workflows. Applications for the Award are adjudicated by the TIF IGI Grants Evaluation Committee, currently represented by Stewart Walker, John Trinder and Philipp Grimm. All courses are in the form of short video lectures. Each course will be valid for 20 days from the application date. An email including the studying and exam instructions will be sent to each applicant immediately after the application is submitted. The link will be valid for two months from the 5th March 2018. 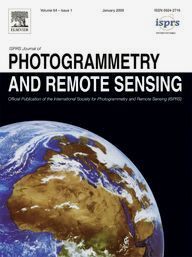 In accordance with the statutory mission and activities of ISPRS, the Society will provide funds to support scientific and other initiatives, which will further improve its international status in the field of the photogrammetry, remote sensing and spatial information sciences, and will therefore benefit all ISPRS members. For 2018, the following seven Education and Capacity Building Initiatives projects were selected and approved by the Council for funding. For a brief summary of the above-awarded projects together with the information of their principle investigator(s) and co-investigator(s) see here…. Reflecting the growing number of employees within their organisations, Sustaining Members, Trimble, based in USA, have now upgraded their membership category from D to category B, and RACURS from the Russian Federation, have upgraded from D to category C.
ISPRS areas of research and the resulting achievements can be found in many applications used day-to-day by millions of users. These impressive scientific achievements are implemented by many industrial players who apply the technology in areas such as economy, land management, disaster risk reduction, navigation, and integrated in various personal apps. ISPRS is pleased to see the growing interest of companies dealing with the development of such products. We are pleased to inform you that ISPRS Ordinary member, Geoinformation Society of Nigeria (GEOSON) has elected new executives at the end of 2017. ISPRS congratulates Dr. Matthew O. Adepoju as new president, wishing him and his new team all the best for their term of office. Dr. Adepoju is also the Head of the Cadastral Mapping & Urban Space Applications Division, National Space Research and Development Agency at Obasanjo Space Center. The Nigerian Society promotes and facilitates geospatial information development, integration, research, knowledge and innovation amongst its members and institutions in Nigeria and beyond. Visit www.geoson.org for more information. Indiana State University Professor and ISPRS Journal of Photogrammetry and Remote Sensing Editor-in-Chief, Qihao Weng has been named a Fellow of the Institute of Electrical and Electronics Engineers (IEEE). Sisi Zlatanova, previously of the Delft University in The Netherlands and a world-renowned expert in 3D mapping of public space, has taken up the position of head of the Geospatial Information Centre at the Faculty of the Built Environment, University of New South Wales, in Sydney, Australia. ISPRS is proud to have such world-renowned professionals within its ranks and congratulates Sisi on her new position. This special issue aims to present and promote innovative concepts, technologies, methods, and tools in the acquisition and processing of metric and semantic data for Cultural Heritage applications, facilitating the dialogue in the Geomatics scientific community, and in relation to other related research fields, such as computer graphics, conservation, restoration and management of Cultural Heritage. 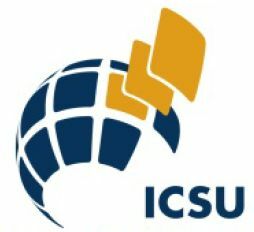 The World Data System (WDS) of the International Council for Science (ICSU) has announced the WDS Data Stewardship Award, initiated to highlight exceptional contributions to the improvement of scientific data stewardship by early career researchers through their engagement with the community, academic achievements and innovations. The Award will be given each year and will be presented at the subsequent SciDataCon Conference. The 2018 WDS Data Stewardship Award will thus be presented at SciDataCon 2018 (part of International Data Week, 5–8 November in Gaborone, Botswana). 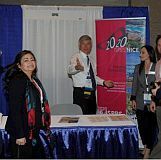 The International Association of Meteorology and Atmospheric Sciences (IAMAS) of the International Union of Geodesy and Geophysics (IUGG) stresses the importance of the collection of data that supports an understanding of the Earth System, including its changes and evolution. We all depend on the Earth. Increasingly we rely on weather forecasts as well as predictions of high impact events such as hurricanes to both benefit our lifestyle and avoid catastrophe. Without the gathering of data, improvements to our ability to predict these events could not occur. We are concerned about current propositions within the United States of America to shut down a variety of efforts to gather data in support of understanding and maintaining our records of the atmosphere, the oceans, and other elements of the Earth system that enable improvements in our ability to predict and project future conditions on Earth. The economic benefits of improved weather prediction are well established, and we are just learning how to improve predictions on longer time scales. The cancellation of current satellite missions will cause great harm to these improvements and thereby can only lead to great economic as well as human harm. We urge the Congress of the United States to continue to stand by the scientific community that is working towards improvements of our livelihood by continuing to support these important satellite missions. Whereas the development and maintenance of scientific data records regarding atmospheric, oceanic and earth sciences provides a great economic advantage to the world’s people, we urge the United States to maintain and improve these records through its continued support of Earth observing systems (including scientific satellite missions). The University of Torino, with the support of the European Commission and the banking foundation Compagnia di San Paolo, is going to launch “PhD Technology Driven Sciences: Technologies for Cultural Heritage (Tech4Culture)”, a new doctoral programme in “Heritage Sciences” specifically focused on technologies applied to Cultural Heritage. Tech4Culture is funded under the H2020‐MSCA‐ COFUND‐2016 scheme (Grant agreement N. 754511). Tech4Culture aims to create experts able to develop technological solutions for the restoration, the diagnostics, the use and promotion of cultural heritage, with a direct impact on both regional and national research systems. The project pays particular attention at involving key sectors and companies in the non‐academic field and at providing excellent training to Ph.D. students for the acquisition of transferable skills. .
five-year programme of the International Council for Science (ICSU), implemented in partnership with the Network of African Science Academies (NASAC) and the International Social Science Council (ISSC), that aims to generate solutions-oriented knowledge required to address complex sustainability challenges in Africa and to increase participation of the African scientific community in the global research programmes Future Earth, Integrated Research on Disaster Risk, and Health and Wellbeing in the Changing Urban Environment. ICSU in partnership with NASAC and the ISSC has opened a call for pre-proposals to identify collaborative research projects across Africa that explore integrated approaches for sustainable urban development in Africa. 35 pre-proposals will be selected to attend a training event on inter- and trans-disciplinary research, which will take place on 3-7 September 2018 (place tbc). Participants of the training will then be given about two and half months to submit full proposals. In February 2019 up to eleven collaborative research projects across Africa will be funded to the value of up to 90,000 Euro each over two years. The aim of this session is to present research carried out using Laser Scanning data at different scales for either terrestrial or aerial applications. The contributions may consider the use of Laser Scanning data in integration with other geo-spatial information or optical imagery. The application domains could be (but not limited to) surveying, monitoring and mapping at a territorial and/or urban scale. The event is open and free to all registered participants of RSCy2018. Deadline for acceptance of the scientific paper: 15/3/2018. Deadline for notification of acceptance of the scientific paper: 30/3/2018. Deadline for confirmation of participation: 15/4/2018. The application deadline is March 26, 2018. All talented undergraduate students in Geomatics Science & Engineering are welcome! The mission of “Laboratory of Places” is to combine geomatics techniques and restoration for interdisciplinary knowledge and the preservation of historical and architectural heritage. The main topic of the school is the survey techniques designed for three-dimensional modeling of ancient buildings and the extraction of all metric information useful in planning reconstruction restoration, maintenance, and conservation of cultural heritage. During this VII edition, the case of study will be some buildings of the Sacred Mount Calvary of Domodossola. The course is open to students of architecture, archaeology, and engineering, as well as professionals in Cultural Heritage and the Historic Preservation sector. The Laboratory of Places can be a valuable source for those interested in deepening their own personal understanding of the latest survey and representation methods as well as its utilization in a contemporary business practice. 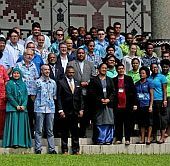 This year’s annual conference attracted approximately 160 attendances per day with the major group coming from the Pacific region, Australia and New Zealand. During the workshop a total of 66 talks were given subdivided in 4 sessions per day and 16 groups of interest (4 institutional, 20 data, 1 costal, 4 disaster, 1 DTM, 4 forest, 4 environment, 1 geology, 4 utility, 9 maritime, 1 agriculture, 1 GNS, 1 software, 4 UAV, 1 student and 4 discussion). The ASPRS Annual Conference and International LiDAR Mapping Forum jointly held in Denver, Colorado February 4-7, 2017, was a huge success and exceeded all expectations with 1,500+ registrations. This was the first time that ASPRS joined ILMF under the banner: We Were Better Together! The ASPRS program featured 13 Workshops, Society Meetings, Keynotes, 4 parallel Technical Sessions, Award Ceremonies, and the induction of new officers; Anne Hillyer has advanced to President of ASPRS, and Jeff Lovin has become Vice-President. ILMF provided a two-track technical program and organized an outstanding exhibition with 95 booths, one of them was ISPRS. Rodríguez, Natalia, Silveira, Rodrigo I.
Ruiz-Lendínez, Juan J., Ureña-Cámara, Manuel A., Ariza-López, Francisco J.
Gunaalan, Kuddithamby, Ranagalage, Manjula, Gunarathna, M. H. J. P., Kumari, M. K. N., Vithanage, Meththika, Srivaratharasan, Tharmalingam, Saravanan, Suntharalingam, Warnasuriya, T.W.S. Jiang, Yongyao, Li, Yun, Yang, Chaowei, Hu, Fei, Armstrong, Edward M., Huang, Thomas, Moroni, David, McGibbney, Lewis J., Greguska, Frank, Finch, Christopher J.